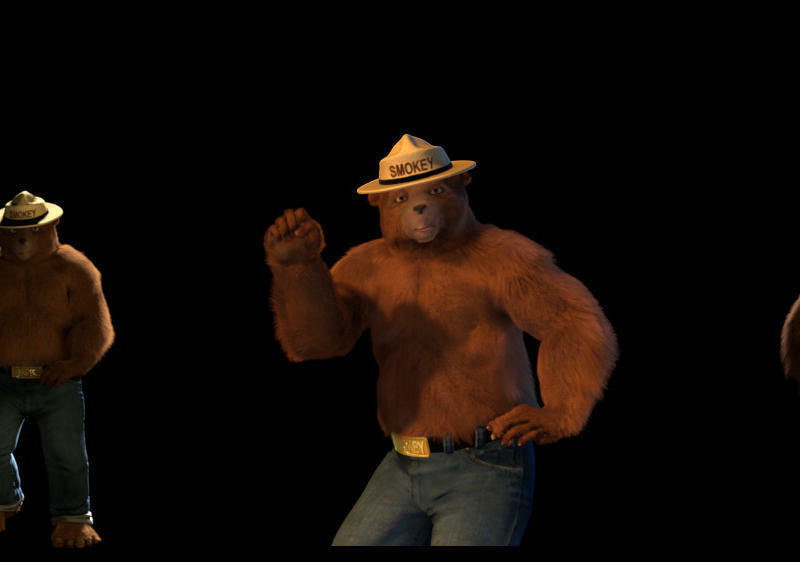 In early 2008, we were commissioned to do a digital test of the Ad Council's "Smokey The Bear" character. These images are a few of the final tests we did after creating a fully digital version of the character, complete with rigged arms and feet. Using the latest render technology, we were able to create a lifelike fur system that integrated seamlessly with our digital environments. A Division of The M Group Inc.